Fully qualified plumber for all your residential plumbing needs. 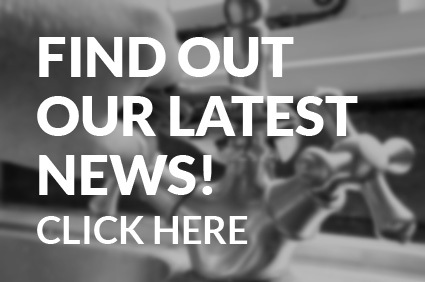 Leaking taps, burst pipes, hot water cylinders. No job too small! Unblock drains, replacement of damaged pipes and improvement of your drainage systems to maximise flow. Repair and replacement of spouting and down pipes. Cleaning out leaves and debris from your guttering. Improve your plumbing system to save water and money. Hot water cylinder strapping and exterior rainwater tanks for emergencies. We are a small, family-owned business, which has been servicing Wellington homes since 2007. 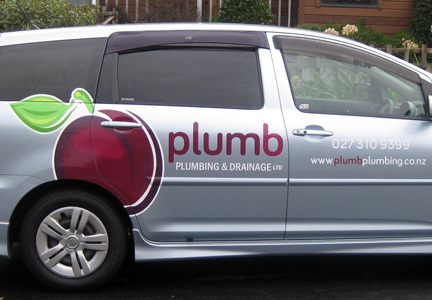 Plumber Craig has 20 years of experience and a giant plum on his van! He enjoys giving reliable, informative service and a job well done. Craig’s wife, Julie, and their two children provide support to ensure everyone gets a great experience at all stages of the job. If you have a job in mind, contact us today. 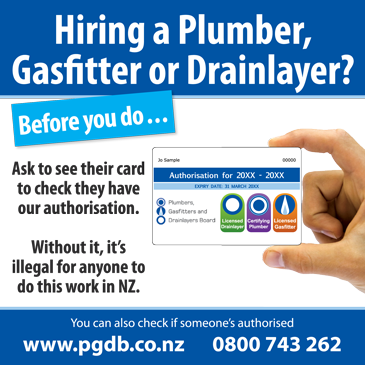 Customers can’t always know whether a plumbing job has been well done (though we guarantee it will be) but they do know whether getting it done was a breeze or a hassle. Our aim is to make things as easy as possible for you. Craig will explain your job to you, offering his professional advice and reviewing the options available to help you make decisions about your job. Craig will let you know what costs to expect before work begins and provide an itemised invoice so you know what you’re paying for. Craig will turn up when he says he will. If unforeseeable circumstances mean he can’t get there on time, he will be in touch as early as possible before he is expected to arrange a new time. Craig’s workmanship will be neat and to a high standard. He will work with you to ensure that you and he are both satisfied with the job. Throughout the job, you will be able to deal with Craig directly to ensure you receive seamless service. Have a question or need more information? Get in touch today. Reducing your water heating costs? On average, hot water makes up one third of your power bill. Why not ask Craig to look over your hot water system and advise if there’s anything that can be done to save energy and heating costs. 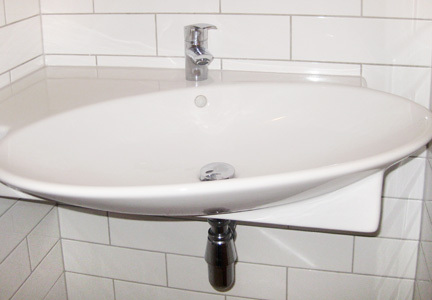 Minimising your chance of burst pipes and damaged mixers and tapware? Many Wellington homes have excessive water pressure. In just a few minutes, Craig can measure your water pressure and advise whether you would benefit from having a pressure-limiting valve installed to protect your pipes, mixers and tapware. Protecting your water supply in the event of an earthquake? Craig can ensure your hot water cylinder is properly strapped to reduce the chance of water damage and improve the likelihood of having hot water to use. He can install an exterior rainwater tank to provide an emergency water supply. 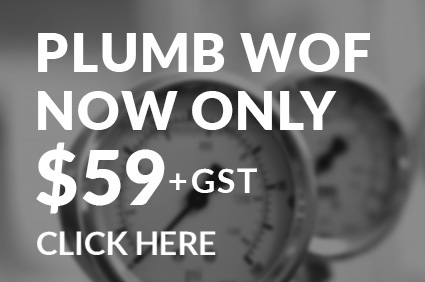 For a Plumb WOF or to discuss any plumbing requirements, call today. 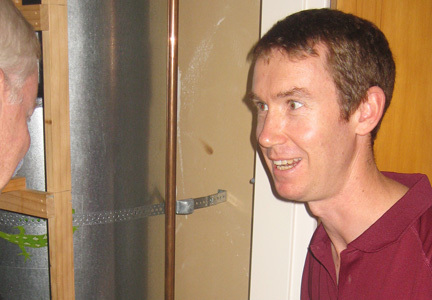 Craig has done several plumbing jobs for us and I will definitely use him again when the need arises. He keeps in good communication, turns up when he says he will and clearly explains what the various options are. He goes beyond what he needs to do such as when he spent a lot of his own time trying to source us an unusual fitting. I feel he is very honest and diligent in whatever he does, and have no hesitation in recommending him to others. Just a big thank you for the great job installing the two new toilets in our house plus the other odd jobs we required being done whilst you were here. We appreciated your professional approach and extra advice you gave us and most importantly the quality of the job. Overall I would highly recommend you to others and will definitely be in touch when we do the other work we discussed. Again really appreciate the job you have done. Craig was recommended to me by a friend whilst I was undergoing extensive renovations to my home. Throughout the duration I was really impressed with the way Craig conducted himself both personally and professionally. He discussed and guided me through the plumbing works and accordingly carried them out efficiently and to a very high standard. I therefore highly recommend Craig to you.